The Independent Scholar, the newsletter of the National Coalition of Independent Scholars, has just published a review by Stephanie Harp of The Speeches of Fannie Lou Hamer: To Tell It Like It Is by Maegan Parker Brooks and Davis W. Houck, editors. 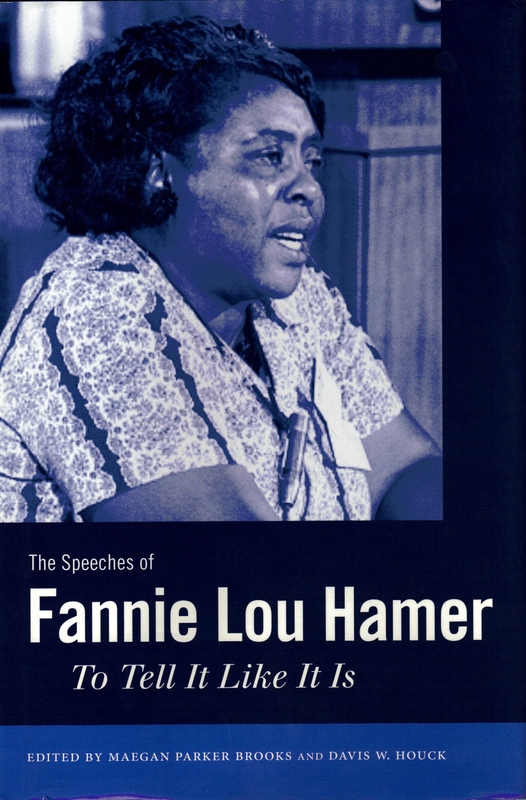 Along with background about Hamer’s life and the civil rights movement, Speeches includes complete transcripts from twenty of Hamer’s speeches and testimonies from her fifteen years of public oratory. In this book, through her own words, Hamer comes alive. This was written by Stephanie Harp. Posted on Saturday, May 18, 2013, at 1:22 pm. Filed under African American history, books, politics, racism, South, voting rights. Bookmark the permalink. Follow comments here with the RSS feed. Post a comment or leave a trackback.